The fan speed can be set to the desired speed by pressing the fan speed control switch. 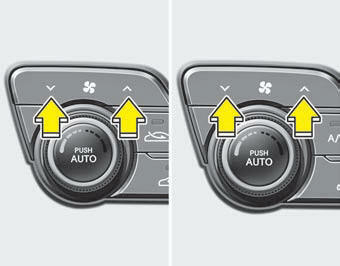 To change the fan speed press the part of the switch for higher speed or press the part of the switch for lower speed. To turn the fan speed control off, press the OFF button.